After having collected sand further out at sea the suction dredgers returned to the coast just outside Rotterdam and raised new land by spraying sand in water slurry. 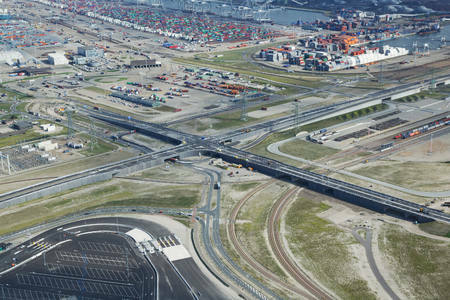 Quays and harbor basins have given structure to Maasvlakte 2 and subsequently a vast and extreme landscape has evolved that is gradually being populated by plants, animals and people. In the designs that define the landscape architecture of the plain, the outer edges are planned as beaches and dunes, with a natural park on the south side, meant as a recreational area for city dwellers. In the center of the Maasvlakte the towering cranes, the gigantic ships, the trains and factories are to be found. 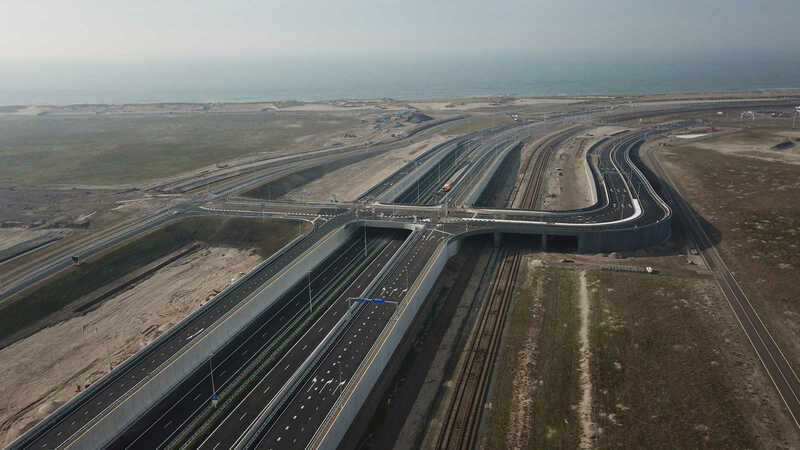 The N15 is the road that connects the harbor with the mainland for cars and trucks and is the dividing line between the rough, moving world of sea, wind, sand and dune vegetation and the world of asphalt, concrete, steel and power pylons. 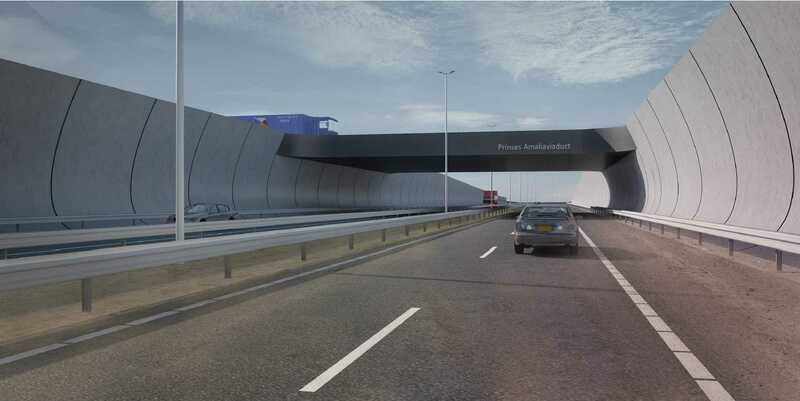 For this road and for the separate lane for automated container transport overpasses needed providing which ZJA Zwarts & Jansma Architects designed for the Havenbedrijf Rotterdam. 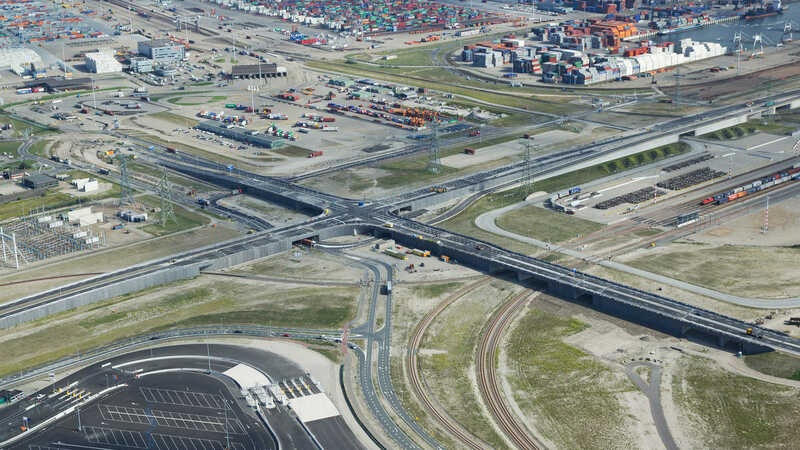 The princess Maxima overpass, the princess Amalia overpass, the renewed Colorado overpass and the fly overs for the so-called Container Exchange Route (CER), that allows lorries to transport sea containers from the seagoing ships to the inland ships, trains and trucks, they all have to merge into this landscape. Broad and bold lines are appropriate here. 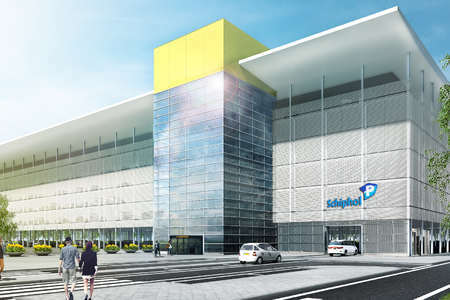 Designs that simultaneously refer to drifting dunes and quays. 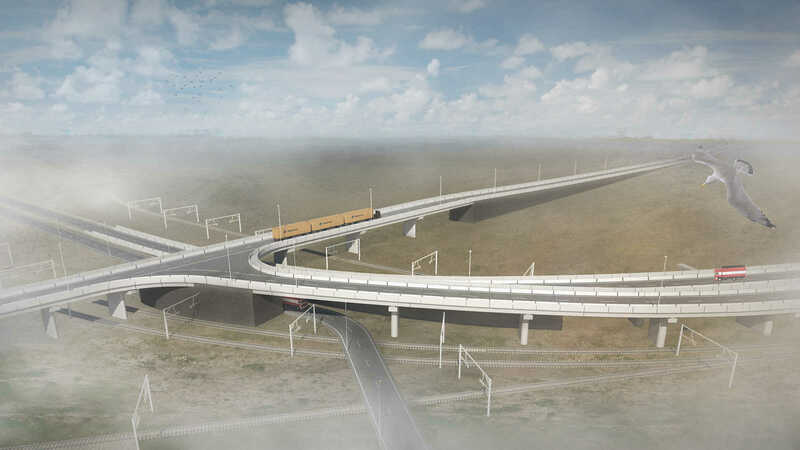 That is expressed in the curve of the concrete elements in de Maxima and Amalia overpasses and in the long smooth line in which they connect. 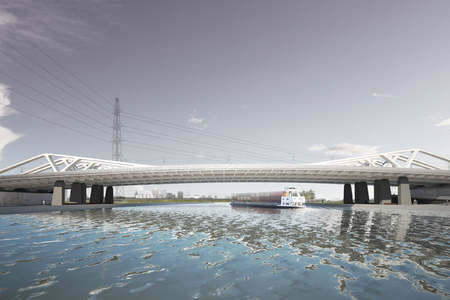 But it is also visible in the choice for all overpasses to use as few separate elements as possible. Solid, out of a single block, is the motto for the preferred look. The ratio in width and angle between columns and deck are determined in such a way that guarantees a sturdy and harmonious image. 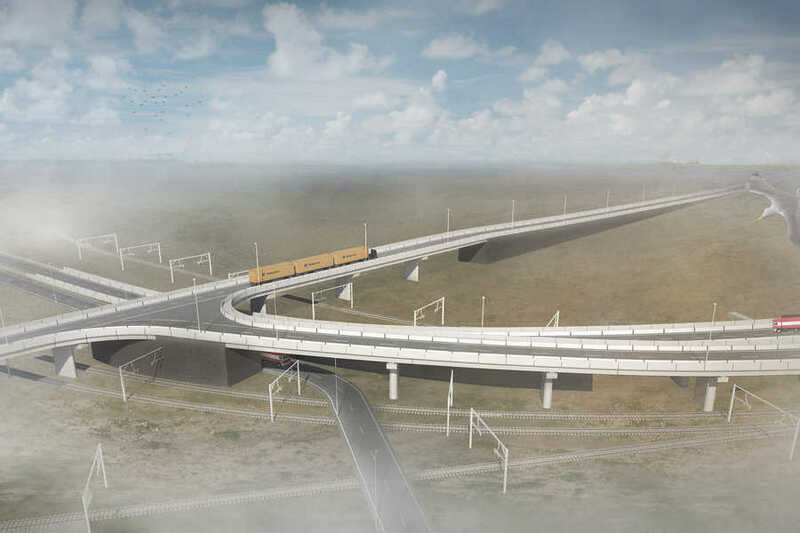 And please pay attention to the double curve in the deck of the Maxima and Amalia overpasses where they intersect with the curved side panels. 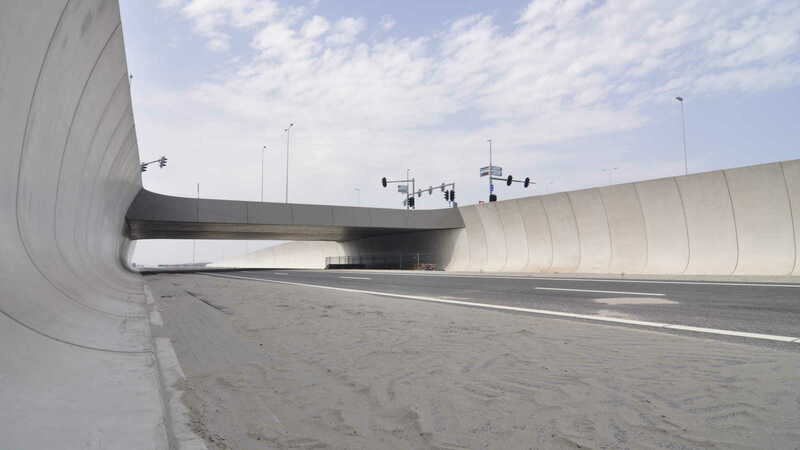 How subtle the use of concrete can be is shown in the accurate definition of the contrast between lighter and darker tinted concrete, manifested for example in the light deck elements of the CER overpasses. In the side panels of the Colorado overpass the seams are understated by the ingenious patterns in the concrete that are derived from the cross cut of nautilus shells. The intricate texture gives the walls a monumental character. 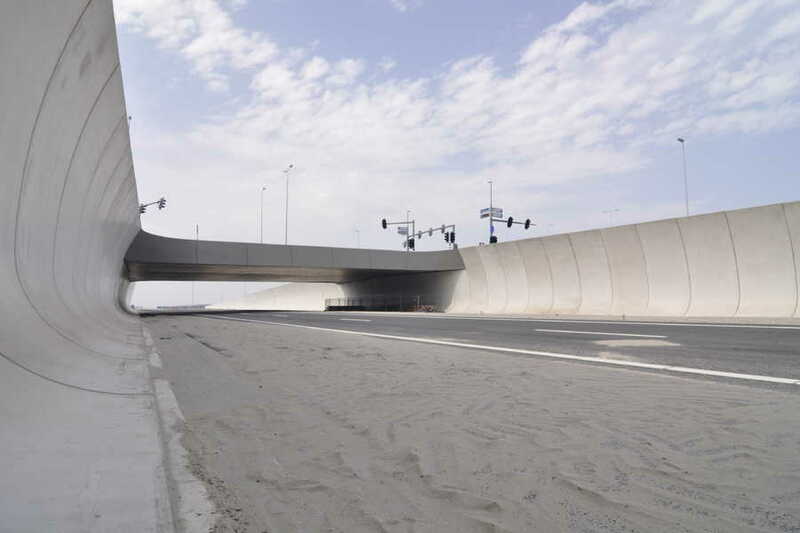 The insides of the passages are clad with a lighter shade of concrete to offer depth to the view of those openings. In the case of the CER overpasses the columns are darker and the decks much lighter, drawing attention to their more slender silhouettes and the way the route snakes through the terrain. 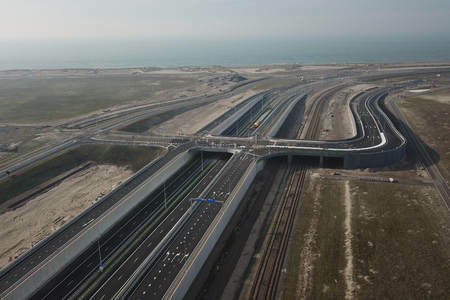 In all these ways of subtle concrete use the overpasses designed by ZJA are a cohesive, bold and harmonious contribution to the Maasvlakte landscape. 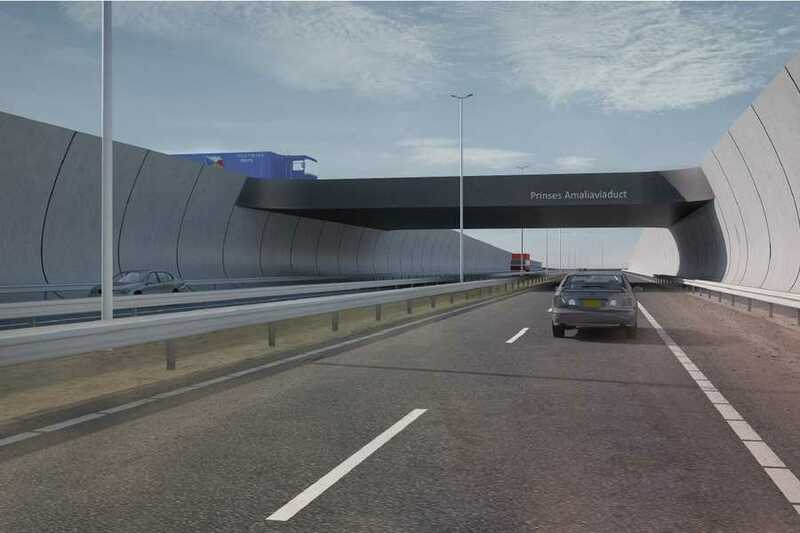 One could say these concrete overpasses take care of the bass and drums in the drivers’ experience. 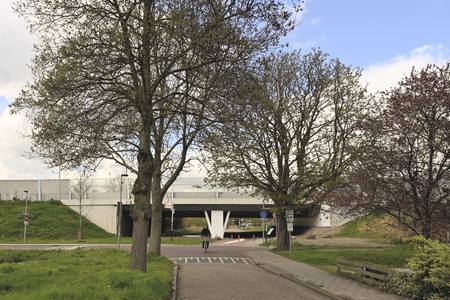 Rhythm and the basic color of the spatial experience, is what the overpasses provide. And in gestures as broad and big as these, the devil is in the details.